As spring has finally and I mean finally has arrived us now, I deciced to do a spring related post which includes my picks for a perfect footwear in spring. 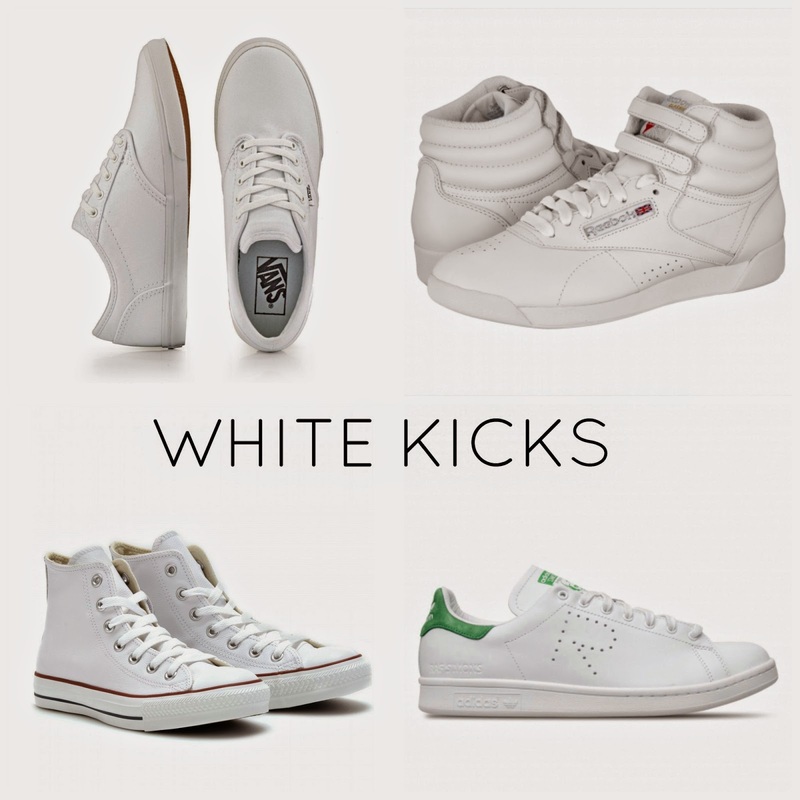 It's no secret that white sneakers has established themselves as must-have pieces since I guess last two season and I'm totally in for this trend. Especially for spring because spring itself is a colourful season but to me also a season full of monochrome and pure vibes. And now that the 70s are obviously back those white kicks can perfectly be worn with slighty over the knee wide-leg pants or as I use to call them 'Marlene' pants. I already have bought some 'Marlene' pants and can't wait to match them with my white kicks. 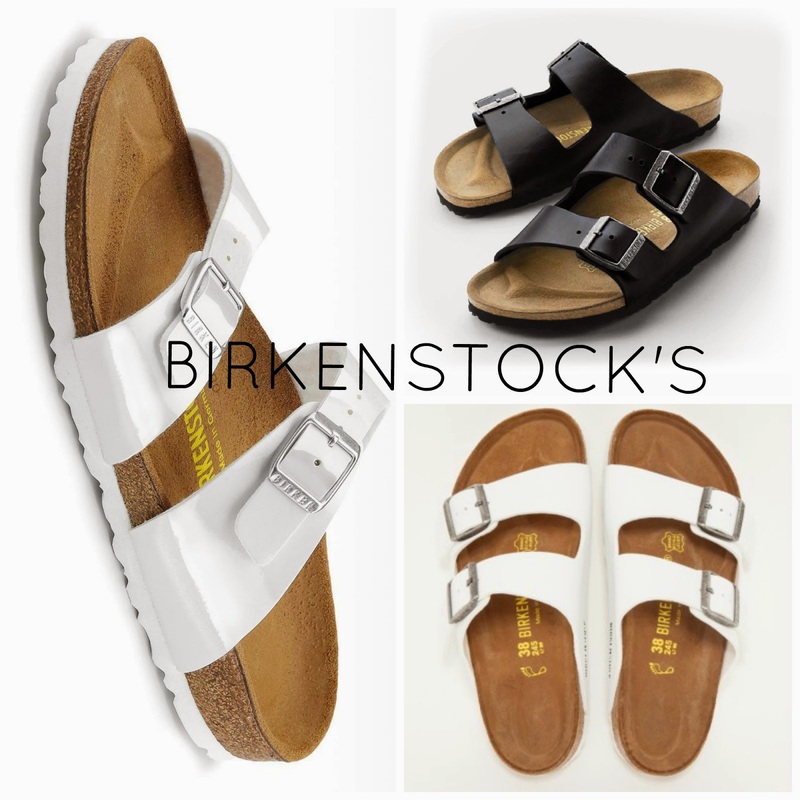 A trend that has been on my mind lately are those Birkenstock's. They can be easily worn and paired as well with wide-leg pants but also with other pieces. What I like about those sandals is that they look easy and are pretty much comfortable. I just yesterday bought similar sandals in black. Pretty much alike with the Birkenstock Arizona ones. Can't wait for them to arrive since I'm soon doing a short-trip to Budapest over my birthday and those sandals are definetely going with me. Anyways if you might ask where to get those shoes just check out the direct links that are under each collages or just check out the Gebrüder Götz website (here) who sell a bunch of amazing footwear not only for women but also for men and kids. Pretty much for the whole family. Down below is a short clip of their latest tv-commercial. Have a look and happy shopping! Note: While this post has been generously sponsored by Gebrüder Götz, all opinions within this post are exclusively mine.